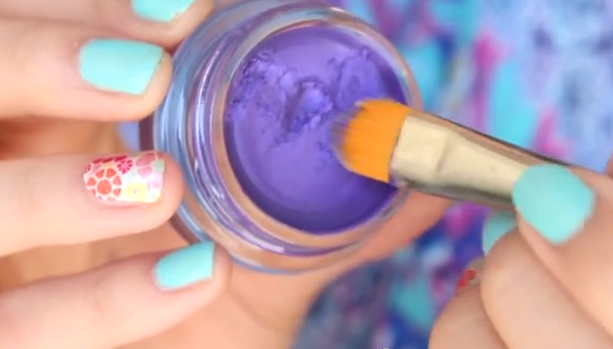 My newest summer makeup obsession is colorful eye shadow or eyeliner! 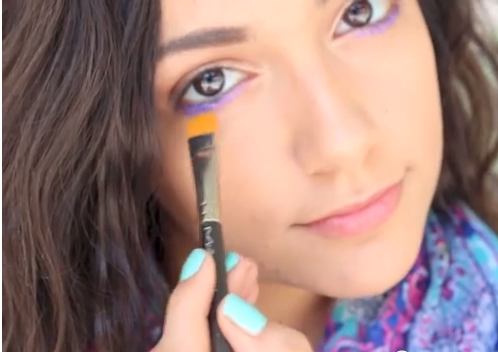 I got inspired by Bethany Mota’s water-proof makeup look. She is a fabulous fashion/makeup vlogger, if you guys don’t know her you should check her channel out! 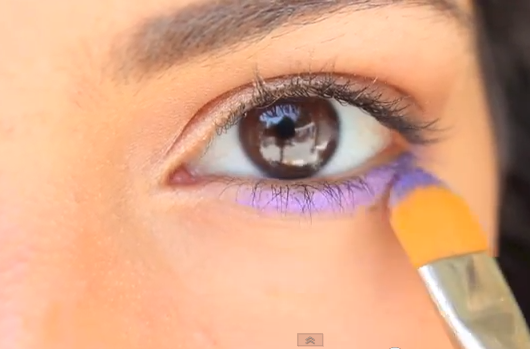 In her look, she showed how to apply purple cream eye shadow to the lower lash line with a thin makeup brush. I thought this was a really pretty summer look that anyone could rock! These are pictures from her video that I am just sharing with you to show you how to create this awesome look for the warm days ahead! Step 3, smile and be confident with your new vibrant eyes! I personally love this pretty purple color that she chose, I would totally wear it myself, but you can try other colors as well. Light colors like baby blue and light pink also look great, if you have darker skin you can even try colors like yellow, orange, and green, if you are feeling bold. Tip: Apply a colorful eyeliner/shadow to only your upper OR lower lash line, while also keeping the rest of your makeup neutral. Have a fantastic start of summer! I love Betahny too<3 Cute post ! http://pinkcupcake7.wordpress.com/2013/05/22/my-first-giveaway/ check out my cute giveaway !!! 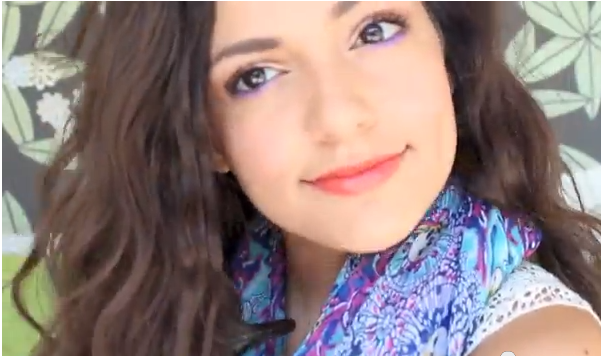 I love Macbarbie07, I have actually seen this video before, haha! It is a wonderful makeup look, I think I might try it for tomorrow! Thanks for sharing! I love love love this post! I am so glad fun and bold summer makeup is back, i just love it!